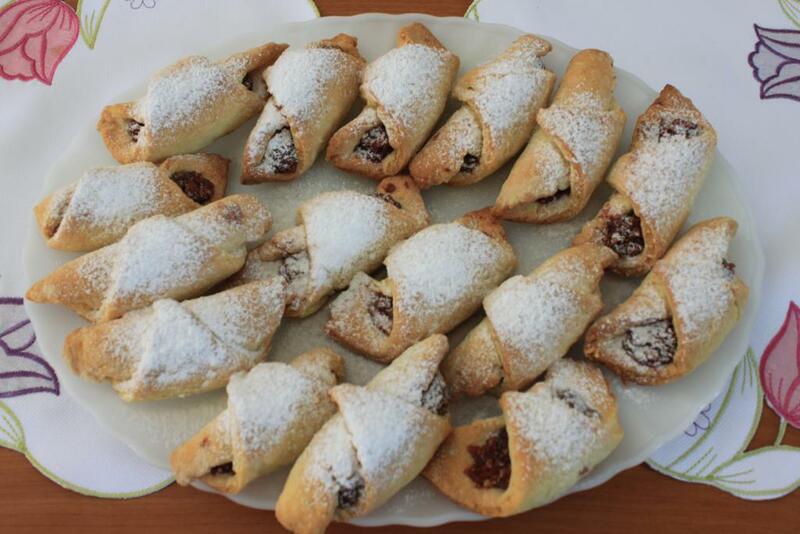 Apple strudel is a traditional Viennese strudel, a popular pastry in Austria and in many countries in Europe that once belonged to the Austro-Hungarian empire. 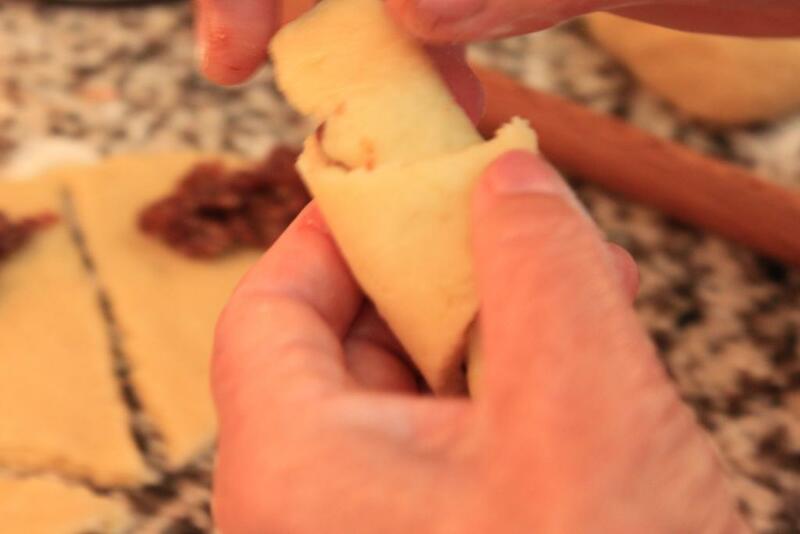 Strudel is related to the Ottoman Empire’s pastry baklava, and came to Austria via Turkish to Hungarian and then Hungarian to Austrian cuisine. 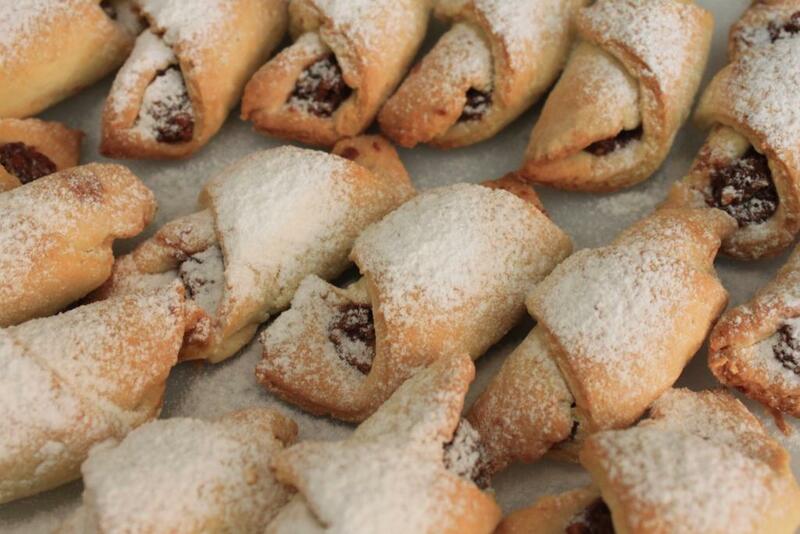 “Strudel,” a German word, derives from the Middle High German word for “whirlpool” or “eddy”. 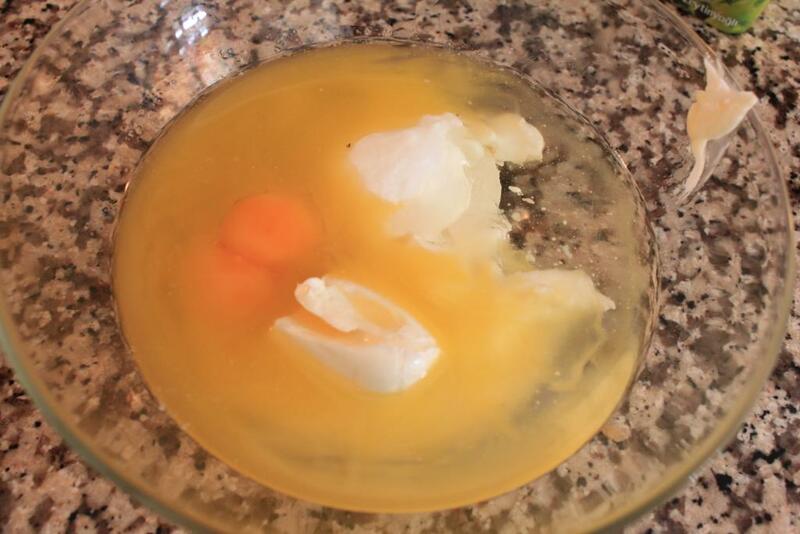 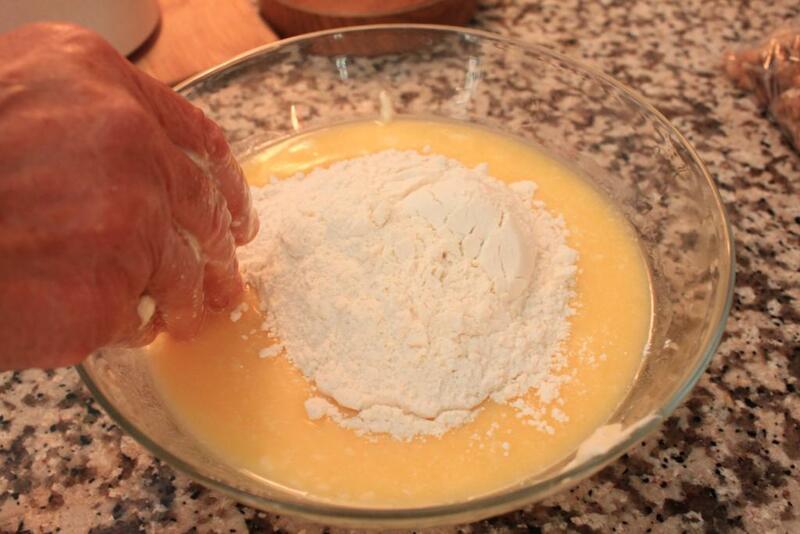 This is very easy, not complicated recipe and one can not go wrong if follow our step by step how to make pictures. 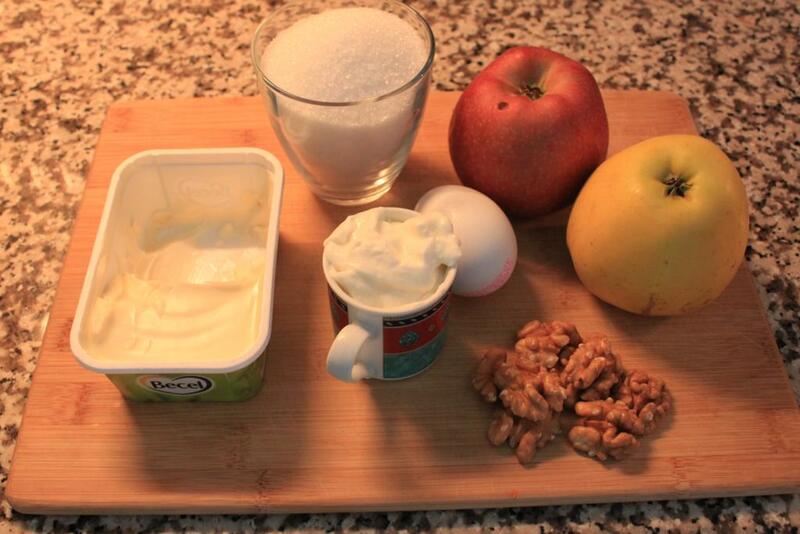 Apple strudel filling ingredients: two grated apple, one glass sugar, two tea spoon cinnamon, 100 gram ground walnut. 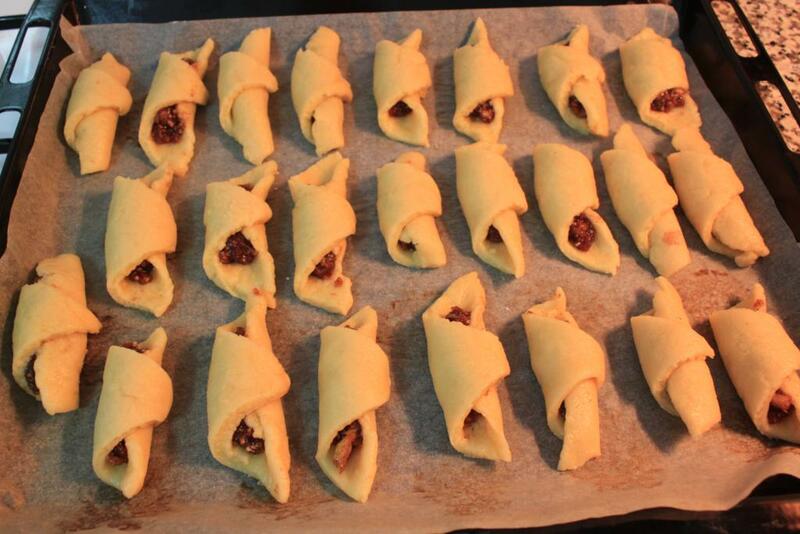 Apple Strudel pastry ingredients: One egg, 100 gr yoghurd, half a glass sunflower oil, 75 gr butter, one tea spoon baking powder, one tea spoon vanilin, 180 gr flour, one tea spoon vinegar and half a tea spoon salt. 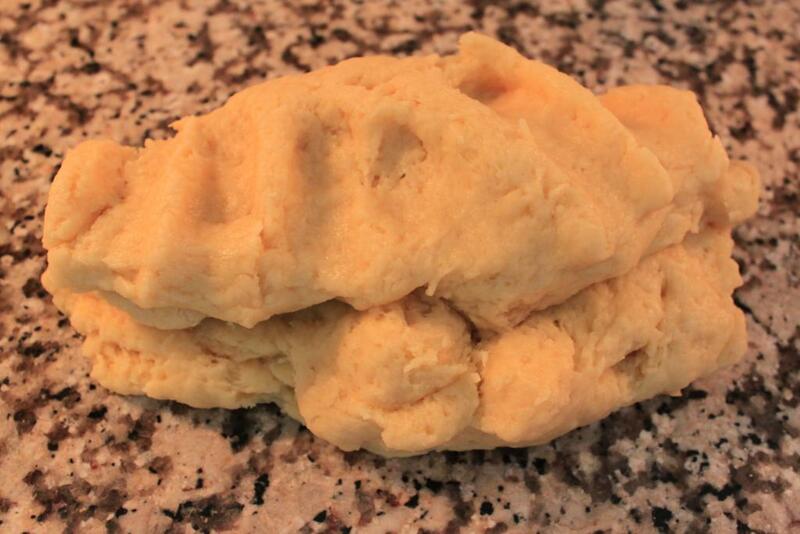 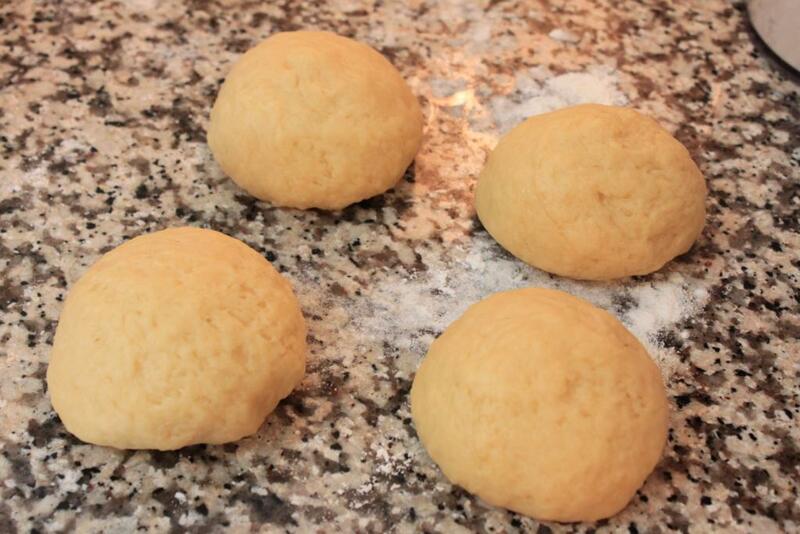 Mix all the pastry ingredients and make a good dough. 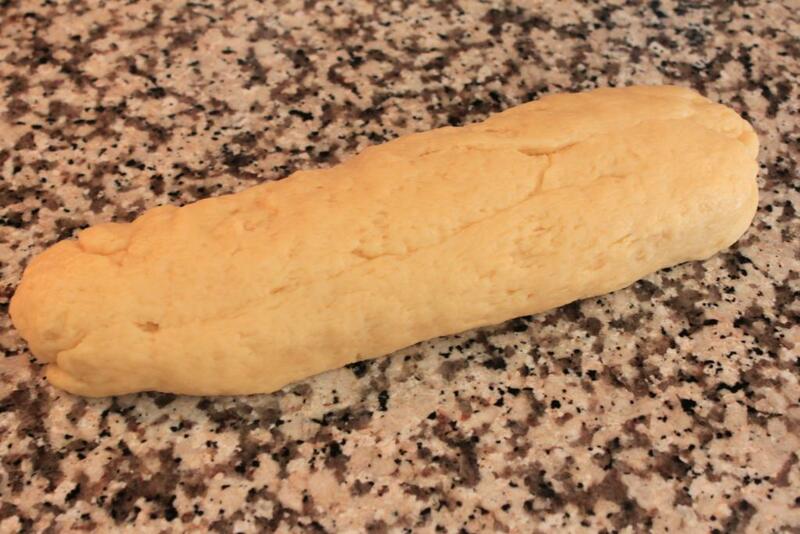 Knead the dough well with your hands and make 30 – 35 cm long round dough. 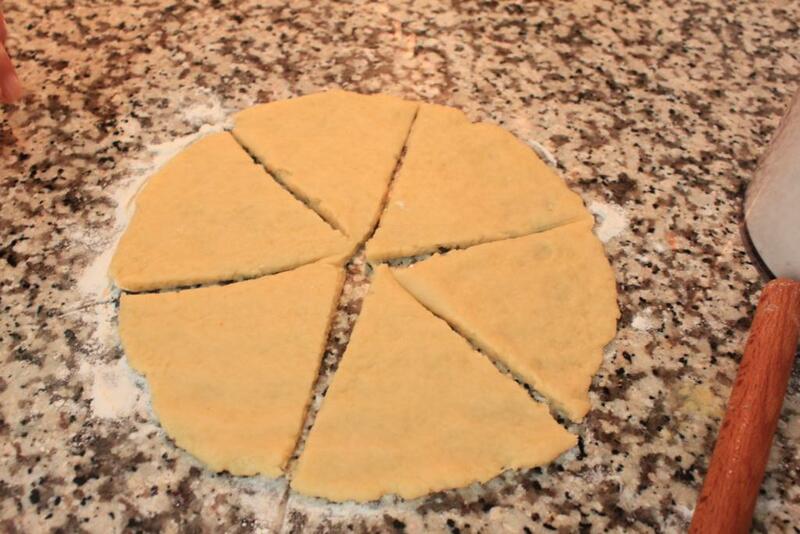 Cut the dough 4 equal pieces. 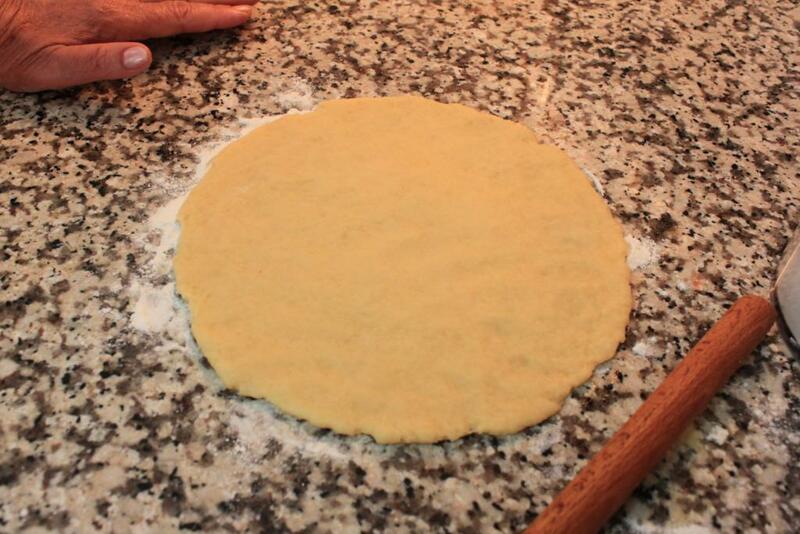 Make 20 cm round pastry from each round dough. 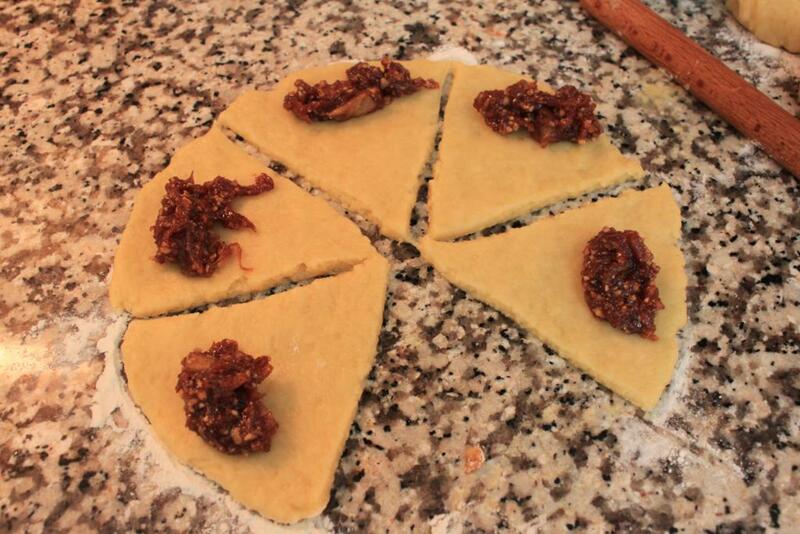 Then cut 6 triangles from each round pastry cutting from middle of pastry first. 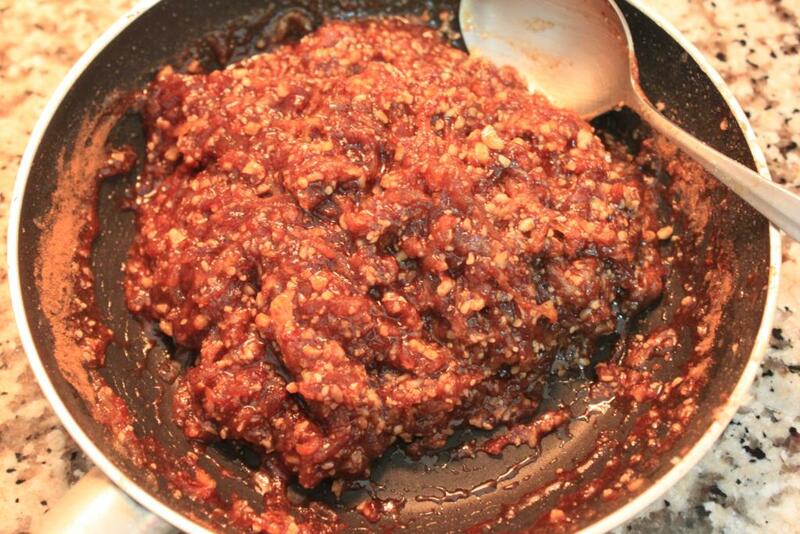 Cook the grated apples and sugar until it gets creamy and caramelized then add cinnamon and ground walnuts and mix well until you get good sticky mixture as above picture. 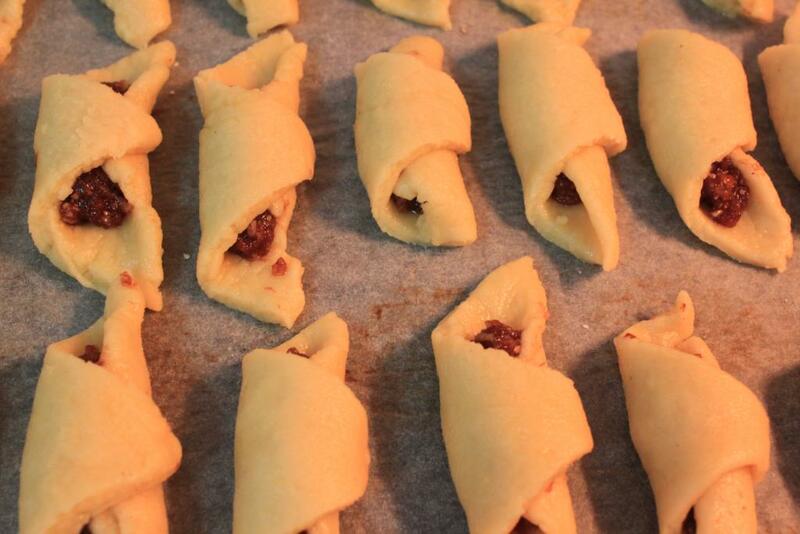 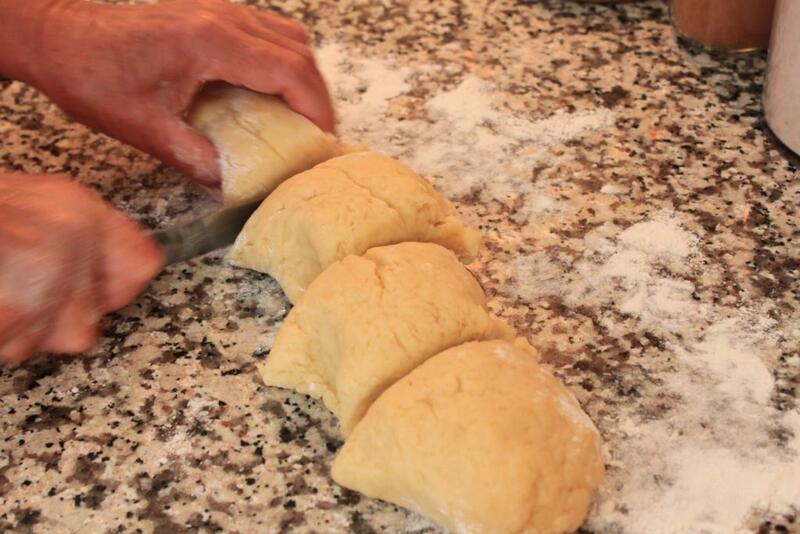 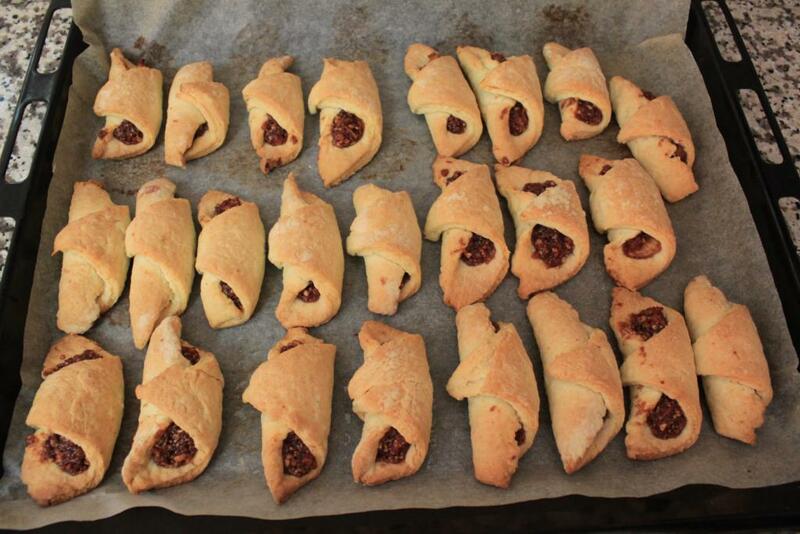 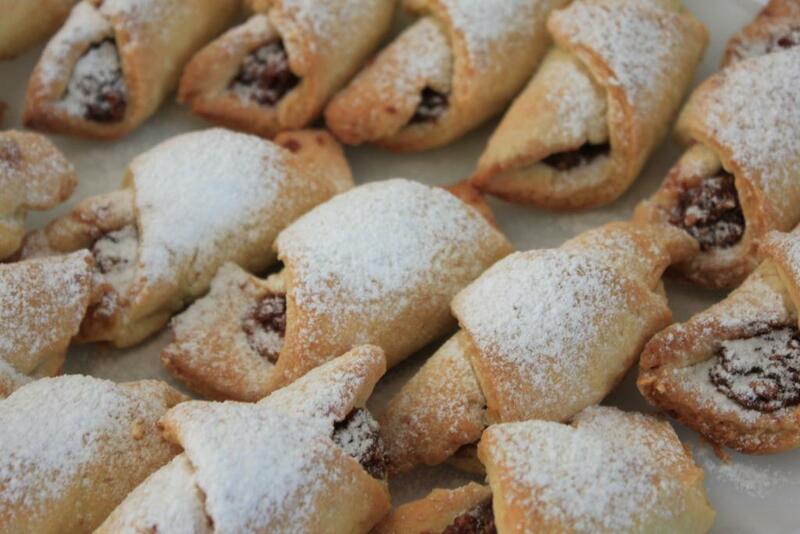 When filling cooled then add one spoonful of mixture to each triangle pastry and roll from bottom end to top end. 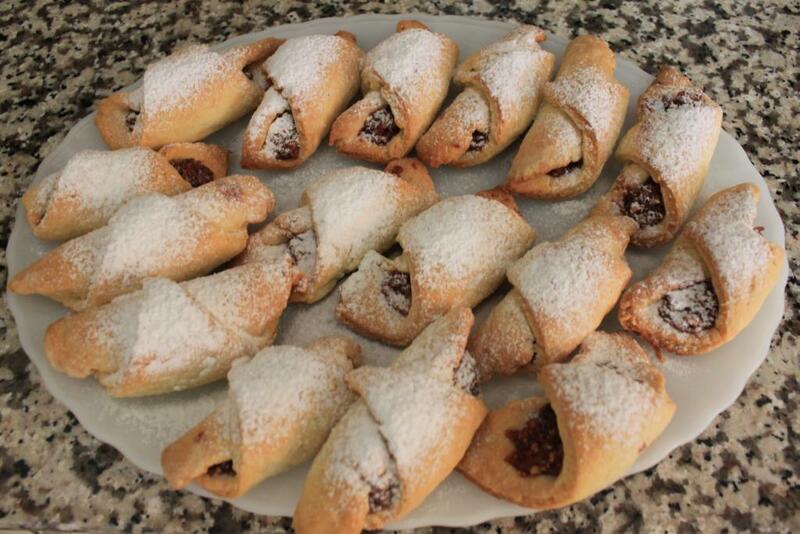 While they are hot then dust with icing sugar and transfer to serving plate.